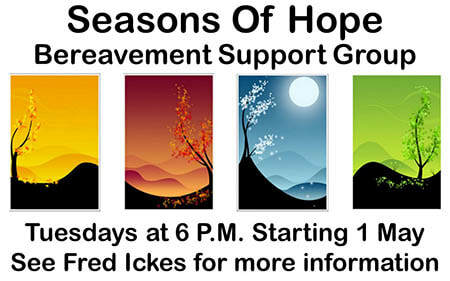 ​If you are grieving the loss of a loved one (spouse, child, parent, sibling) come to the 6-week "Seasons of Hope" program. The first meeting will be Tuesday, May 1, from 6:00 P.M. to 7:30 P.M. in the St. Michael Room. 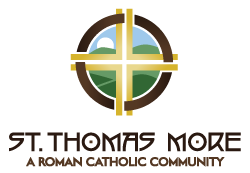 It will be led by parishioner Fred Ickes, who is a Licensed Professional Counselor. To register for the program call the office at 237-5911 or sign up on the sheet on the bulletin board in the Commons. If you have any questions, contact Fred Ickes at 384-6562, 426-9162, or ickesf@gmail.com.